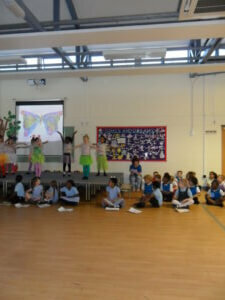 On Friday 26th May Year 1 (Overstone and Cogenhoe classes) performed a wonderful assembly for school and parents of the Very Hungry Caterpillar. 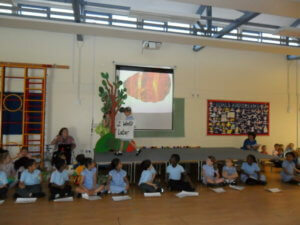 Here are a few photos of their dress rehearsal – everybody enjoyed watching it and the children enjoyed performing! Well done Year 1!